The needlepoint design area measures approximately 10" x 13". If you wish to purchase stretcher bars we recommend a pair of 14" and 17". 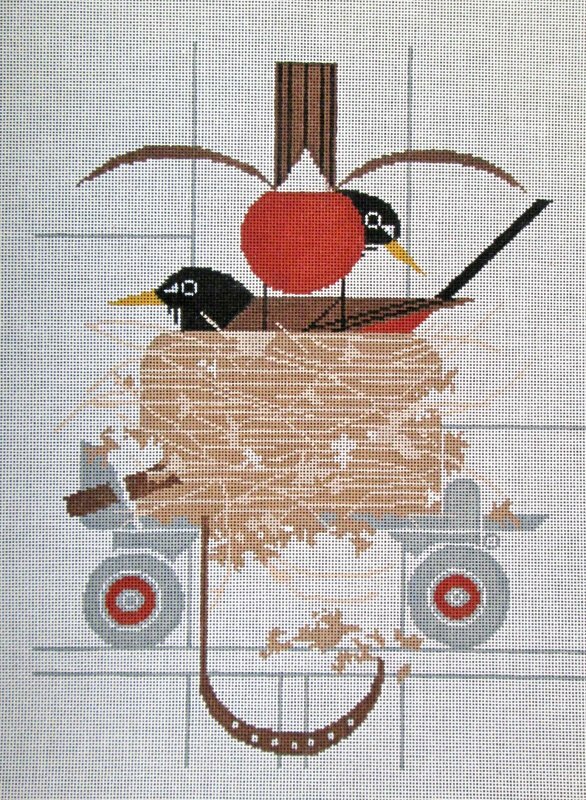 This Confiskation Charley Harper needlepoint canvas is usually in stock and ships within a few days. However, due to the popularity of Charley Harper canvases it is subject to back order so if you're in a hurry let us know.